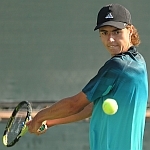 Oliver Crawford won his ninth consecutive singles match at the USTA International Spring Championships dating back to last year as the 16-year-old from Spartanburg, S.C., advanced to the semifinals in the boys’ 18s on Friday at the 12th annual tournament taking place at StubHub Center. The No. 10-seeded Crawford, who won five matches on his way to winning the boys’ 16s singles title a year ago at the ISC, beat unseeded Alafia Ayeni of San Diego, 7-6 (1), 6-3. 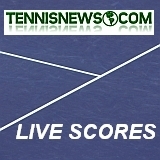 Crawford will face Liam Caruana of Austin, Texas, in Saturday’s semifinal. After winning Carson last year, Crawford then continued his winning ways by also winning the 16s at the ASICS Easter Bowl. Seventeen-year-old Sam Riffice, the No. 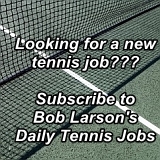 5 seed from Granite Bay, Calif., was also feeling quite at home on the Carson hardcourts as he got off to a fast start going up 3-0 in each set to also advance to the semifinals by way of his 7-5, 6-1 win over Duarte Vale of Portugal. 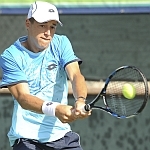 Riffice was eliminated by defending champion William Blumberg in last year’s third round at Carson, but a week later exacted some sweet revenge beating Blumberg in the semifinals at the ASICS Easter Bowl before falling to Taylor Fritz in the final. Riffice’s opponent in Saturday’s semifinal is none other than Blumberg. “Last year’s Easter Bowl was great for me because it increased my ranking and allowed me to get straight into some bigger tournaments,” said Riffice, who trains with the USTA at Boca Raton, Fla.
“It’s great to be back in California and playing on these courts,” Riffice added. 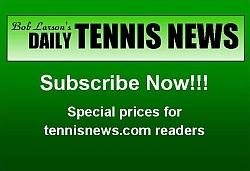 “This is my first tournament on hard courts since the U.S. Open; that’s like six or seven months straight on clay. In the girls’ 18s semifinals it will be unseeded Meible Chi of Weston, Fla., taking on No. 2-seeded Kayla Day of Santa Barbara, Calif. In the other semifinal, No. 5 Claire Liu of Thousand Oaks, Calif., takes on top-seeded Amanda Anisimova of Hallandale Beach, Fla. All four semifinalists won in straight sets Friday. The boys’ and girls’ 16s finals are set as No. 6 Adam Neff of Bradenton, Fla., will play No. 2 Axel Nefve of Hinsdale, Ill. Neff won the Boys’ 14s at the ASICS Easter Bowl last year. “The scoreline doesn’t really show what a battle it was out there,” said Neff, who found himself up a set but down 0-3 against Vikash Singh before reeling off six straight games for the 6-2, 6-3 win. Neff will also play in the boys’ 16s doubles final with fellow Bradenton resident Tyler Zink. 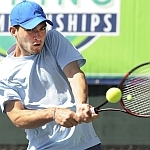 Neff is currently being coached by former University of Georgia All-American Brandon Wagner, who was John Isner’s first pro coach after Isner left Georgia. In the girls’ 16s singles final it will be an All-NorCal matchup as No. 14 Jessi Muljat of Sacramento, Calif., meets No. 15 Katie Volynets of Walnut Creek, Calif.